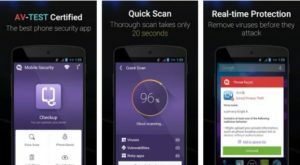 The decryption of 26 SD cards with data at the Commission on Elections (Comelec) office in Intramuros, Manila, lawyer Victor Rodriguez, spokesman of Marcos, said the fact that the SD cards are corrupted at the very beginning, it is enough to prove that there’s fraud during the last May 2016 elections. 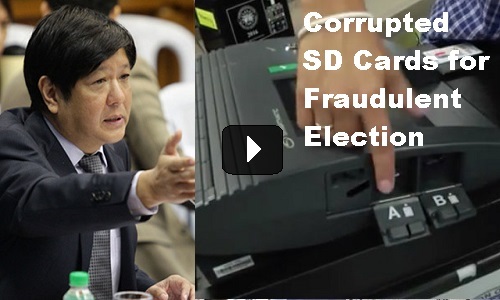 [VIDEO]: THE camp of former senator Ferdinand “Bongbong” Marcos Jr. on Monday asserted that data found in many of the secure digital (SD) cards retrieved from supposedly unused vote-counting machines (VCMs) strengthened their election protest. Robredo’s camp can deny or lie about it but the discovery of the data in unused SD cards strengthens the position of Bongbong Marcos saying that massive fraud happens in the last elections. SD cards from unused VCM should be empty. That certainly bolsters Marcos’ position. Marcos lawyers oppose the stripping of the unused VCMs in violation of the protective precautionary order issued by the PET. Its purpose is to preserve the integrity of the ballot boxes and other equipment used in the last elections. Despite the plea, the Comelec seems to rush with it and threatens to charge Marcos for the delay of the VCMs return to Smartmatic on October 26, 2016. The Philippines is noted to have very fraudulent elections. Lawmakers opt for the digital system to hopefully give faster and cleaner results. However, the evidence gathered by the Marcos camp prove otherwise. The last election is the dirtiest and most fraudulent election the country ever had. The Marcos camp vows to fight until the very end – because the integrity of the country’s election system is at stake. They would not stop until all the fraud and machinations are exposed. Filipinos must be vigilant that the culprits cannot carry out the same cheating methods in future elections. I am a consistent applicant for Cebu Commission on Election since year 2005.Despite of my being a Graduate in Bachelors of Laws,always discriminated to be employed in COMELEC.If there is really CORRUPTION in COMELEC,I hope a total revamp and my desire for PERMANENT JOB IN COMELEC be given appropriate consideration.